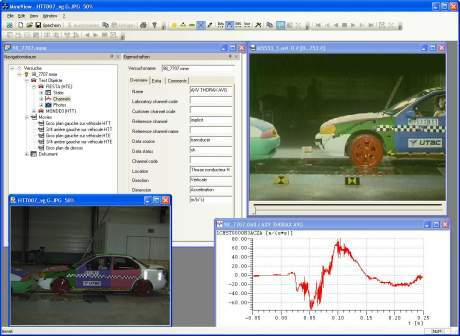 The MME Creator is a product to view and process data in the ISO MME structure as well as to convert different raw measurement data formats according to ISO/TS 13499. 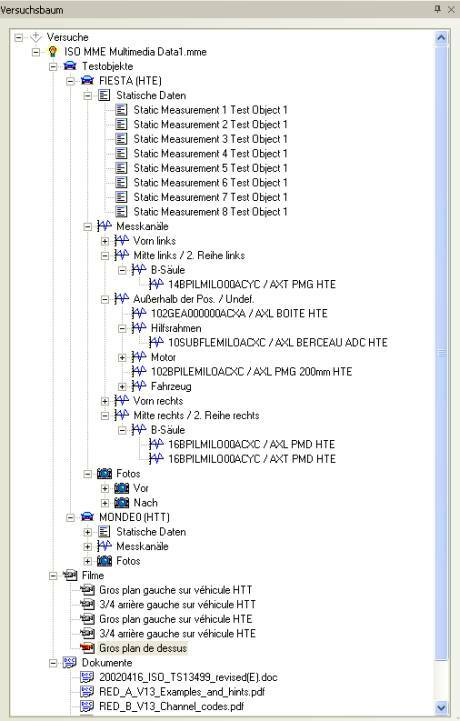 By using the clearly arranged ISO MME tree structure an easy navigation through the data inventory is possible and therefore a quick and comfortable viewing of the data of diverse formats is ensured. 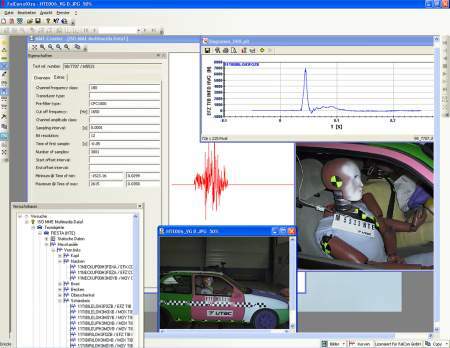 In this tool a movie player as well as a diagram output for measurement data are integrated, so AVIs can be played and assessed synchronized with measurement graphs. Different graphs can be compared in one diagram. In addition to the preview the tool offers users considerable functions of layout, processing and viewing. The clear input masks support the simple and quick replenishment of multimedia data and possibly necessary changes of their parameters: Enter or correct the descriptive values via text input. 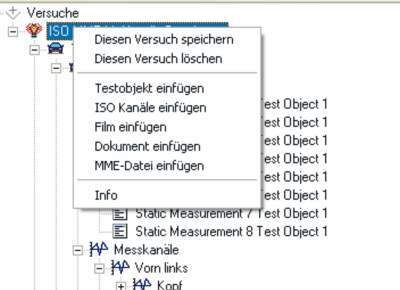 The MMECreator allows the conversion of several measurement data formats into ISO MME. As one further feature it offers the possibility to merge several partitions of tests into one container automatically. Already existing additional data as lens descriptions and settings of AVIs, which were captured for example with FalCon ImagerControl, are integrated smartly in the ISO MME file. Additionally you are able to create a customer version of the ISO MME file using FalCon CustomerView respectively (not included in MMECreator). This output customer CD includes a viewer for free distribution (without license fees), which allows the full range of data viewing however disables any changes of data and documents.